Jurassic Park 4, the film that many thought would never actually happen, finally has its release date: June 13, 2014. Frank Marshall said over the summer that the film would release in two years, but many fans took that as the hopes of an overly optimistic producer. Turns out his comment was more than just a prediction though as Universal confirmed the summer 2014 release date today. Steven Spielberg and Marshall are producing the film, but it still doesn’t have a director attached. It is rumored that the most recent draft of the sequel was scripted by Rick Jaffa and Amanda Silver, but that’s still unconfirmed. 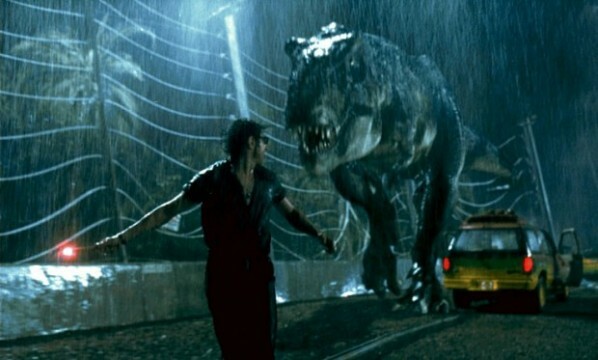 There is also word that Jurassic Park 4 will shoot in 3D but again, like most things with the film, that is unconfirmed. A 2014 release seems extremely optimistic considering the film doesn’t even have a director yet. I’m assuming that Universal has a very short list at this point, or that they’ve already found someone for the project, if they’re willing to commit to a date already. If that’s the case, then it’s safe to expect some kind of announcement about who will be directing the film in the near future. Of course, there’s always the possibility that Spielberg will direct the franchise again (he did the first two movies but not the 3rd), especially considering his film Robopocalypse has been put on indefinite hold, and he’s yet to commit to another film. As much as I’d like to think this release date means that for sure, 100%, this film is going to happen, I’ve been on this franchise’s emotional roller-coaster for far too long. When the film has a director and production is actually underway, then I’ll be excited. Right now though I’m only encouraged by this news, not absolutely thrilled. What do you think of Jurassic Park 4 finally getting a release date? Share your thoughts in the comments section below.